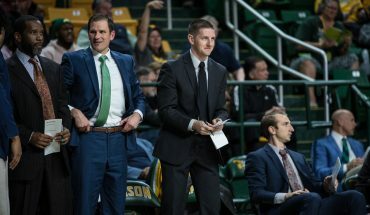 Wednesday’s men’s basketball game included a scoring milestone, an old CAA rivalry and a season first for the Mason men. The Patriots were defeated by William & Mary 77-70 on Wednesday, Dec. 6, recording their first home loss of the season. 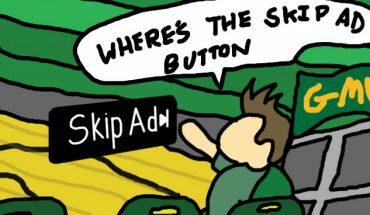 This brings the Patriots record down to 4-5. Despite the loss, junior point guard Otis Livingston III reached a career milestone. The Linden, N.J. native scored the 1,000th point of his Mason basketball career, becoming the 36th Patriot to do so. Livingston talked to media after the game, thanking all the people who have helped him to reach this milestone. The personal record was not Livingston’s only accomplishment on Wednesday however, as he amassed 20 points, five assists, three rebounds and a steal through the night. The junior also discussed how his approach both in the locker room and on the court helped him excel in his three-year career at Mason. Teammate Jaire Grayer also scored 24 points, grabbing seven boards and leading the Patriots in both steals (two) and blocks (two). The junior from Flint, MI discussed the team’s struggles to score late in the game, inevitably leading to the Patriots coming up short. William and Mary played well, as their 6’10’’ sophomore Nathan Knight led the team with 27 points and two blocks. The forward also powered through a couple emphatic dunks, helping his team erase a 16-point Mason lead. Mason Head Coach David Paulsen talked about the Patriots’ struggles in the second half and how his young team can learn from them. Paulsen also discussed moving forward after a tough loss – a loss where Mason was leading virtually the whole game. The Patriot men host North Carolina Central on Saturday, Dec. 9 at 4 p.m., as they look to rebound in front of their home crowd. 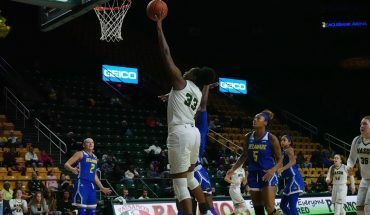 Before the men’s game, fans can watch the Mason women play Eastern Kentucky on the same day at 1 p.m.